Can you believe The Simpsons are in their 16th 24th (Thanks Ms. Key!) season?! It's crazy that it seems like yesterday I was sitting on the couch with my siblings watching as Bart got in some type of mischief and got himself in trouble. 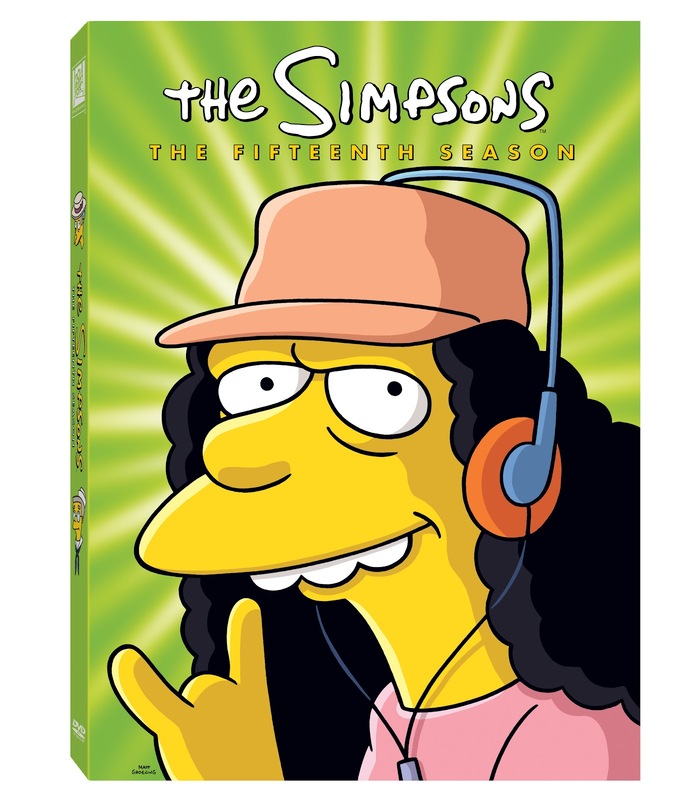 The Simpsons have been around forever and now one of you lucky readers of Just Us Girls can win your very own copy of the 15th Season on Blu-ray, perfect to give to a Simpson fan for Christmas or keep yourself. Enjoy hours of laughter as TV’s longest-running scripted show when The Simpsons S.15 comes to Blu-ray and DVD on December 4th! The season 15 discs are jam packed with special features including a special introduction from series creator Matt Groening, deleted scenes, an animation showcase, sketch galleries, and unique, Blu-ray only bonus episodes. Additionally, you can re-watch episodes featuring some of the best guest stars to date, including J.K. Rowling, Simon Cowell, and Glenn Close. Available in stores on blu ray and DVD, December 4, 2012. SO, WHO'S YOUR FAVORITE CHARACTER? Just Us Girls 2013. Powered by Blogger. @CardSwap Where Swapping GiftCards Are Worth It! @Hexbug Nano, Perfect for Your Little Boy!